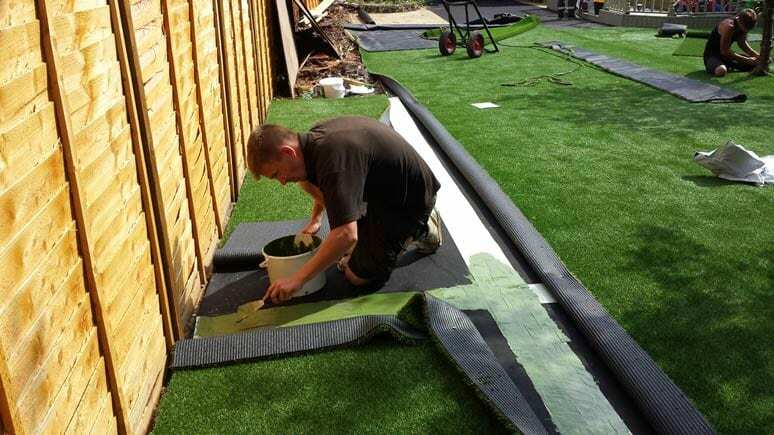 If you’re looking for an artificial grass installation process, we recommend contacting us first. 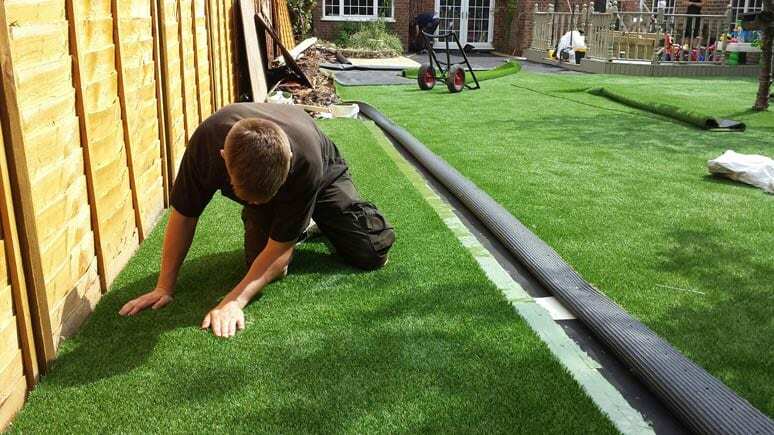 Trulawn provide a full installation service along with our products. 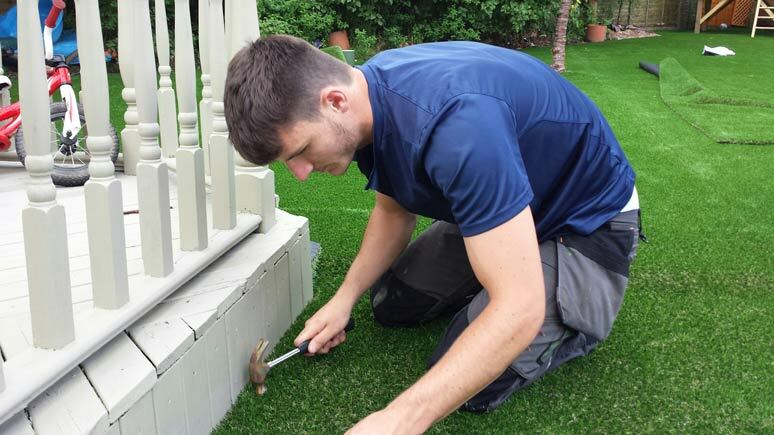 To achieve the highest standard of appearance and to ensure your artificial grass maximises its lifespan, a quality installation is essential. We pride ourselves on the quality of our installations and there are 2 key factors that distinguish us from some of our competitors. 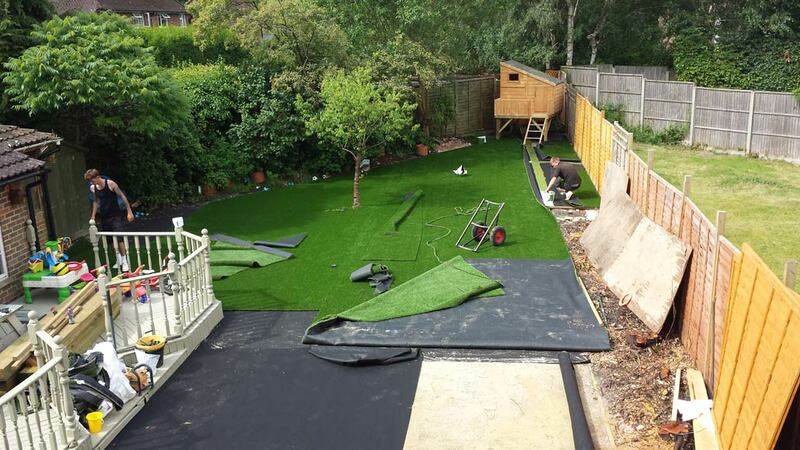 Trulawn will always lay a base of aggregate, in addition to grano dust, many other artificial grass installers only lay a base of sharp sand, ensuring a robust and long term installation of your new lawn. 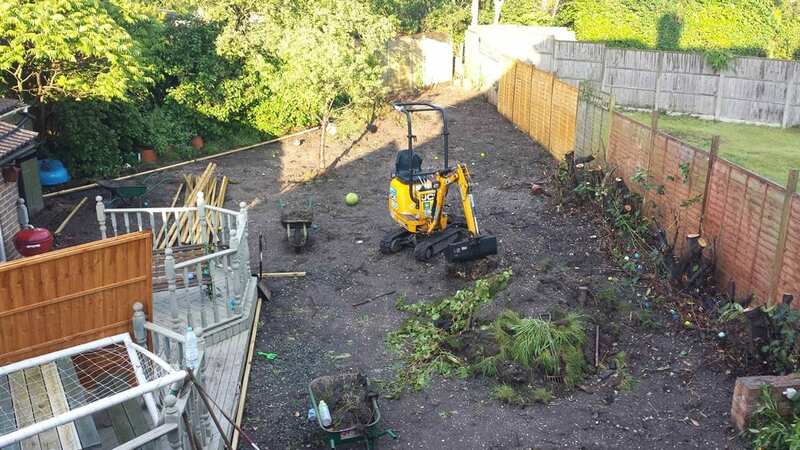 Additionally we will remove all the existing sod and waste, most competitor installation providers will ask you to hire a skip and of course you have to pay for it, we include this priced into our service. 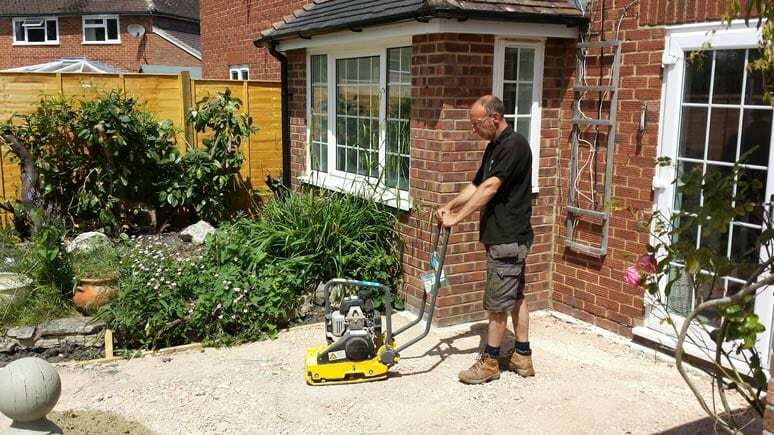 Our free installation survey will review the existing lawn and work out levels. 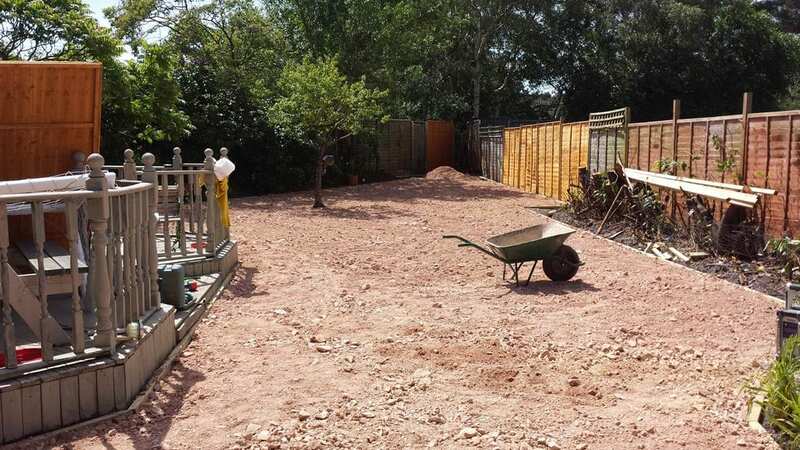 To kick things off, first the existing lawn surface has to be removed to a depth of between 60mm and 80mm depending on ground conditions. 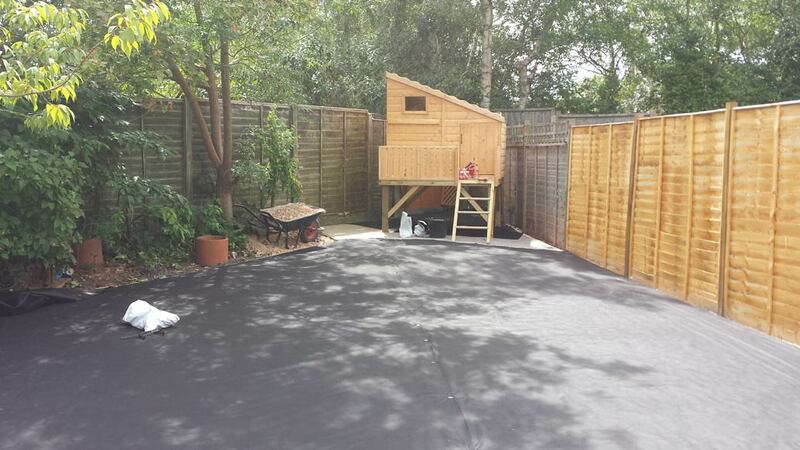 The entire perimeter is edged using 2x2 tanalised timber to ensure the sub-base material is supported. Cement haunching is used against a patio edge instead of timber. A layer of type 1 limestone is installed to a depth of between 40mm and 60mm. 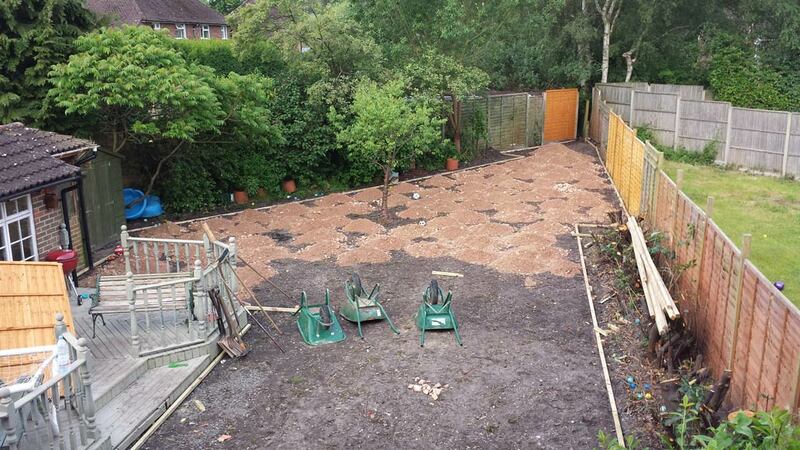 The ground is then compacted using a wacker plate to avoid sinkage and achieve a solid base. A layer of grano dust is installed to a depth of between 15mm and 25mm, this is then compacted and smoothed off. A durable weed membrane is installed to keep weeds from growing. 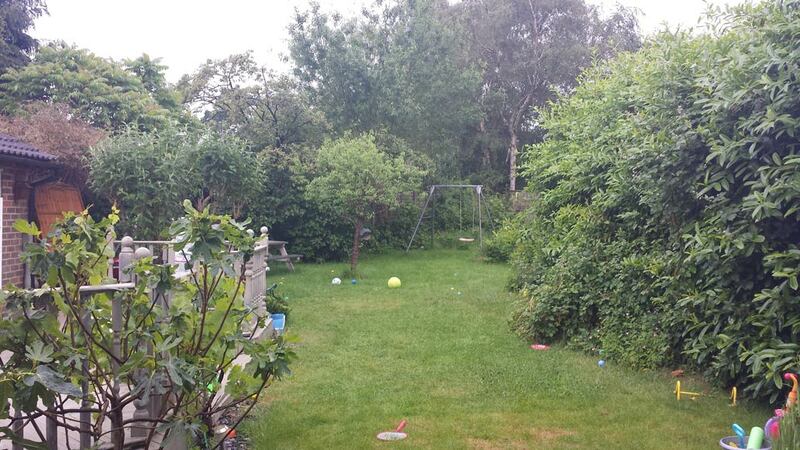 A knife is the perfect tool to make sure your grass fits perfectly i your garden space. 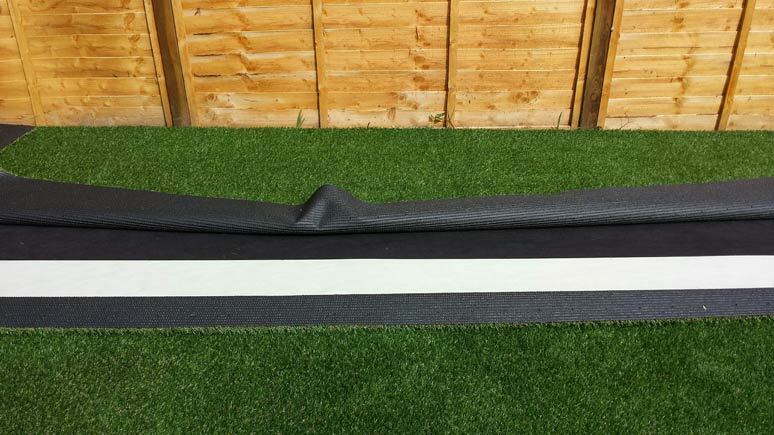 Perfect seams, joining grasses are lined up and joined with high strength seaming tape. The adhesive is then spread onto the seaming tape to ensure a tight bond. Next, the grass is gently folded down onto the adhesive. 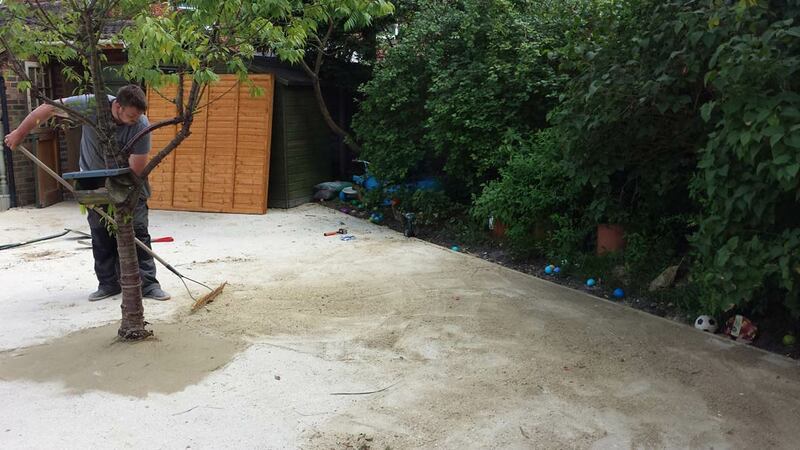 The grass is finally secured with small nails to a timber or metal edge around the perimeter of the garden. 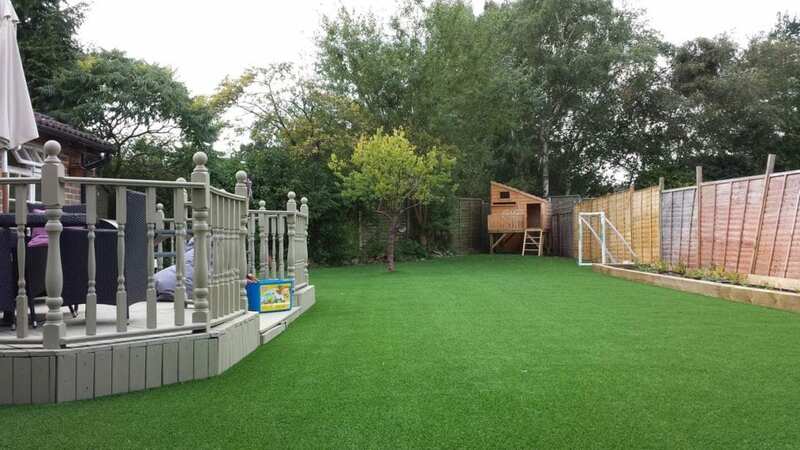 A perfect artificial grass installation by Trulawn, the complete garden flowerbeds and treeline for a balance with nature, decking for entertaining and fun play areas for the kids!